Drake is well known as one of the most influential rappers of our time. This does not stop him though from wanting to showcase his worth with some bold and insanely expensive statement chains and pendants with quirky designs. His "Stone Island" Chain is an homage to the iconic clothing brand that he adores. The pendant is set with black, green, and yellow diamonds! It weighs 880 grams and is made from yellow gold! 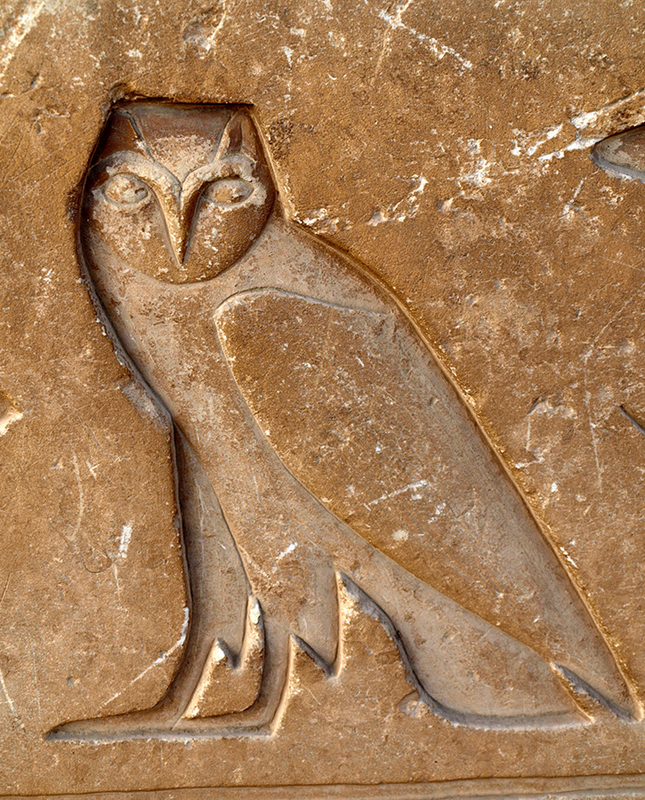 Drake's "OVO Owl" Chain is a symbol of his collaboration group OVOXO with a little bit of his fascination with Ancient Egypt history and hieroglyphic symbols mixed in. The piece features a total of 40 carats of blue, yellow, white and purple VVS diamonds and is made from solid gold! Quavo is a famous rapper that made his debut in the rap trio called Migos. Migos was formed in 2008 by Quavo and his fellow rappers and family members, Takeoff and Offset. Quavo is not only famous for his musical achievements but also for his insane chain designs. Especially wild is his "Ratatouille" Chain Pendant, which depicts the famous rat and the famous rapper side by side ready for a cook off! This crazy design was inspired by the lyrics of his song 'Bad & Boujee' and is filled to the brim with VVS white diamonds on solid white gold with a rumoured price of 250.000$! This amount of bling should be illegal! Today, A$AP Ferg is one of the most well-known rappers in the industry. His solo career started in 2013 when he signed a record deal with Polo Grounds and RCA labels. His first success was his debut album "Trap Lord" on August, 20, 2013. Prior to that he was a member of the Rap Collective named "A$AP Mob". His close friend and fellow crew member of the A$AP Mob, Yams died in 2015 from a suspected overdose. A$AP Ferg created this chain in memory of his deceased friend. Very touching homage. The "Yamborghini" is crowned with an enormous amount of spectacular diamonds set on a bull design made from solid white gold. Lil Uzi Vert is one of the youngest on this list. He was born in 1994 and is one of the most successful young rappers of this generation! His career officially started in 2016 with a show to honor the deceased producer, A$AP Yams in New York City and he subsequently released "Money Longer" on his SoundCloud following a radio debut on Shade 45. This chain is an homage to Merylin Manson. Reportedly, the chain and pendant have more than 16,000 diamonds and these diamonds weigh a total of 155 carats. Meaning 31 Grams of diamonds! Crazy!
. @liluzivert goin crazy again. This time I made him a 100 carat VS diamond spiked choker "Uzi Vert" chain and a 55 carat black & white diamond Marilyn Manson pendant... This year has been insane. And this is in the top 3 piece I've ever made in my career and Uzi already has a piece in my top 5 as well. @IFANDCO IS THE ONLY SHOP making custom link chains with invisible locks! We're the only ones putting diamond baguettes as teeth inside custom pieces. Remember spaceships don't come equipped with rearview mirrors! ? #LuvIsRage2 coming soon! ?? #LILUZI #IFANDCO #MarilynManson #VVS #BlackDiamonds #DiamondBaguettes #CognacDiamonds #CustomJewelry #NOCVDs #GAMEOVER ? A simpler, less flamboyant made-to-order pendant for Lil Uzi, this piece is said to depict Lil Uzi Vert in cartoonish form and on top of his head is a female figure in a laid back pose, said to be his former girlfriend. Reportedly, he later created a new chain without the female figure on top of his head. Mike Jones was a major figure in rap back in the mid-2000s. It is rumoured that he was so successful back in the day that he bought his chain and pendant for $ 1,000,000. The "Ice Age" Chain and Pendant sport over 100 carats worth of diamonds. This super expensive pendant was stolen from Mike Jones in his sleep by his friend(s?). Some say he had it insured but this story is more ancient than the Ice Age itself. 8) Metro Boomin - "High Voltage" Chain"
Metro Boomin (also known as Young Metro or simply Metro) is one of the youngest American record producers and songwriters of the current generation! He became best known for his successful recordings with 21 Savage, Gucci Mane, and Migos in the mid-2010s. He has a passion for music and expensive chains! Namely, his stunning "High Voltage" piece shows a bolt of lightning made from solid yellow gold and numerous stunning VVS diamonds. It could be a symbol for the speed and deafening sound of Young Metro's success! Diamond Two Tone Gucci Link Charm Chain Customized And Designed By Me For My Bro @metroboomin ??? Tee Grizzley is an American rapper from Detroit. After being released from prison in October 2016, he released his first song "First Day Out" on YouTube which became a huge success amassing more than 3 million views in less than 3 weeks! He signed a record deal shortly after! Tee Grizzley also has a thing for expensive chain pendants - not to our surprise-. His "Half Man, Half Beast" chain symbolises human nature. The polarity of the savage and yet all-too-civilized man sculpted on a chain pendant. Possibly also self-referential because of his beastly nickname, Tee Grizzley. A stunning piece of rapper jewellery, it features over 100 carats of VVS Diamonds on solid gold, fetching a reported price of close to half a million dollars! She gone pull up to my ?? Also a crew member of Migos, Takeoff's career boomed together with his homies (and family members) Offset and Quavo. He enjoys a great deal of success and is one of the most talented rappers of our time. Takeoff's "Intergalactic" Chain has multiple planet pendants hanging. This unique piece of jewellery making features many planets of the solar system fully iced! NASA just bit the dust! Father figure of the Hip-Hop group called "Public Enemy" but also talented actor, comedian (and thinker), Flavor Flav has a thing for clocks. He has claimed he owns more than 100 timepieces that he hangs with a chain aroung his neck! He might not be going for the bling, but he definitely has something to say with his jewellery so he deserves a shout. "The reason why I wear this clock is because it represents time being the most important element in our life." "Time can't afford to be wasted, but not only that, but God only gave us one life. Each minute we live, we got to live each second to our best value. Time brought us up in here, and time can also take us out." Disclaimer: The prices are based on rumours circulating on the internet. Do not take them for granted, just enjoy the quirky designs.